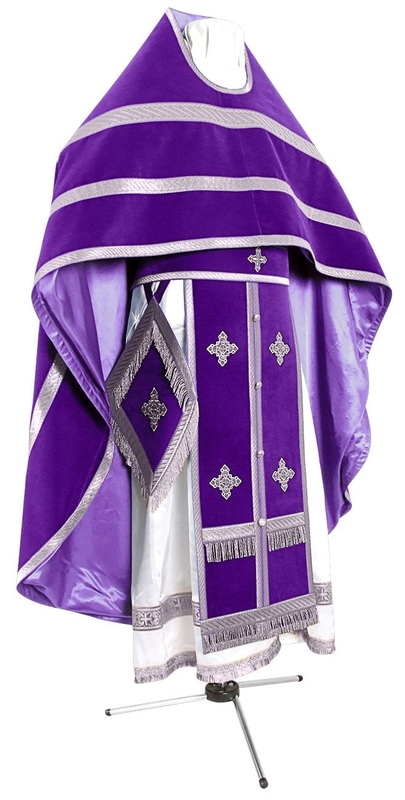 Orthodox Church liturgical Russian Priest clergy vestments (violet-silver) by Istok Church Supplies Corp.
Liturgical vestments worn by Russian Orthodox Christian Priests represent centuries old traditions of fabrics, symbolisms, devotion, distinction and colors. 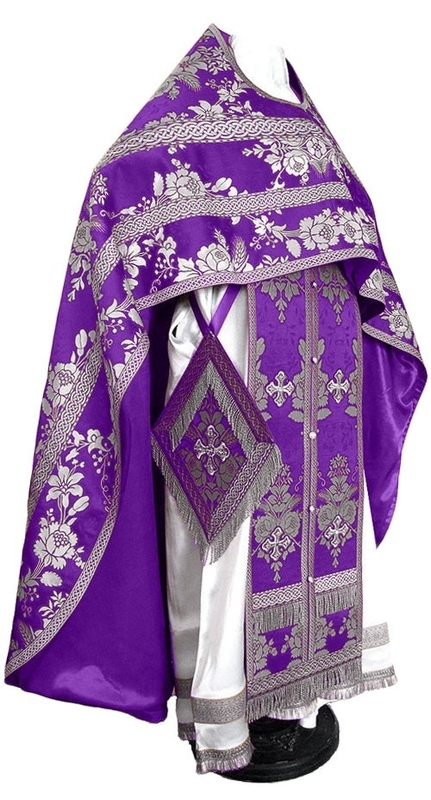 They are an important part of a Priest’s attire and enable him to carry out Divine Services to the best of his ability. 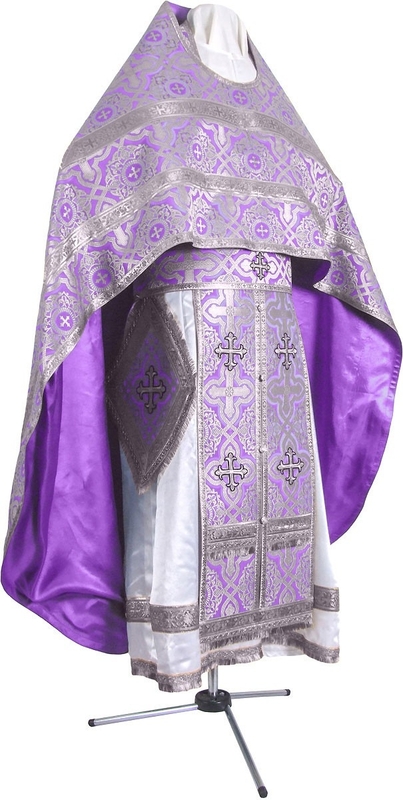 Istok Church Supplies proudly presents an ever expanding collection of altar worthy Russian Priest vestments violet-silver. 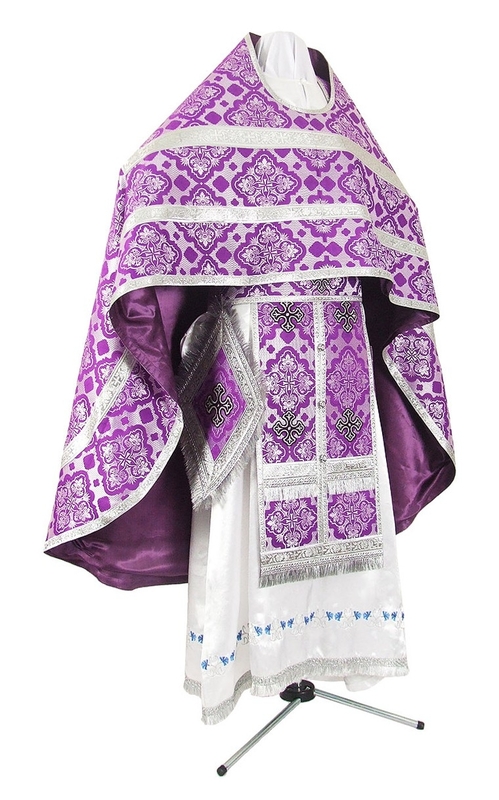 Symbolizing sacrifice and penance, these Russian Priest vestments violet-silver are suitable for days of the Great Lent and Dormition fast. We offer them as complete sets that include six items – epigonation, epitralhilion, epimanika, zone, nabedrennik and phelonion. 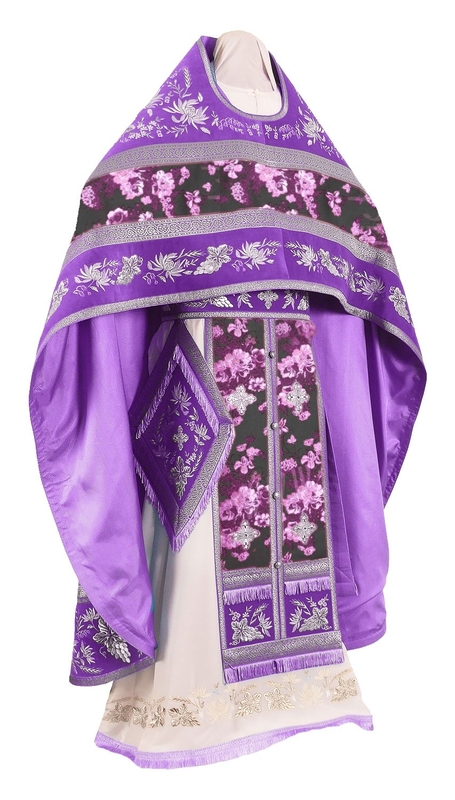 Customers can choose from a wide range of patterns and motifs rendered on beautiful ecclesiastical fabrics such as rayon brocade, metallic brocade and natural German velvet. We also offer embroidered fabrics featuring some lovely designs. There are many ways in which customers can customize their order. They can select from three types of decorations – standard, premier and luxury. 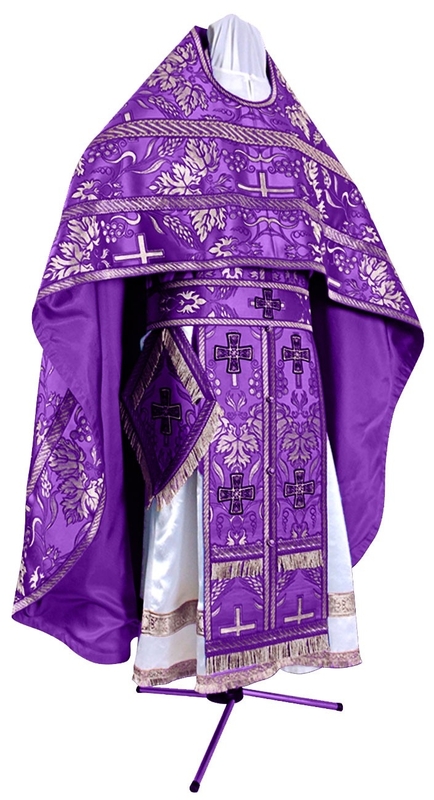 Decorations include galloons and crosses – for standard type, we provide simple crosses and inexpensive trimmings, premier type means embroidered crosses and quality trimmings and luxury type comes with solid jacquard galloon and exquisite hand embroidered crosses. 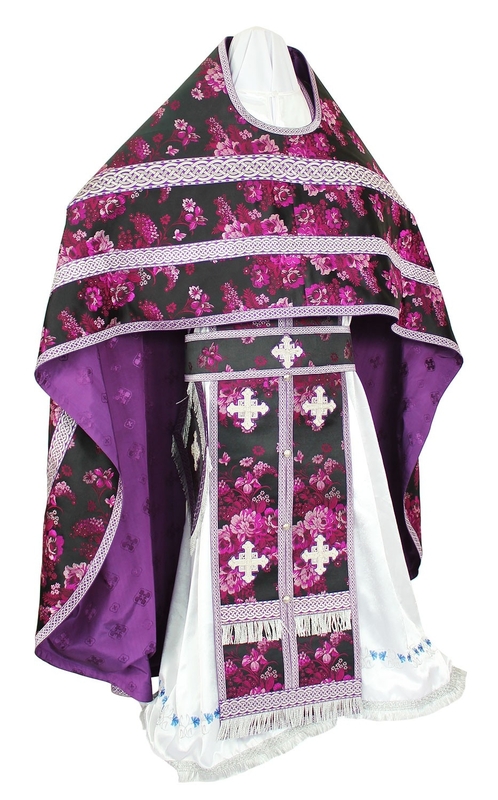 Customers can add natural velvet inserts and an embroidered icon for the back to their orders. We provide flexible order placements to help customers purchase exactly what they need for their church and community. 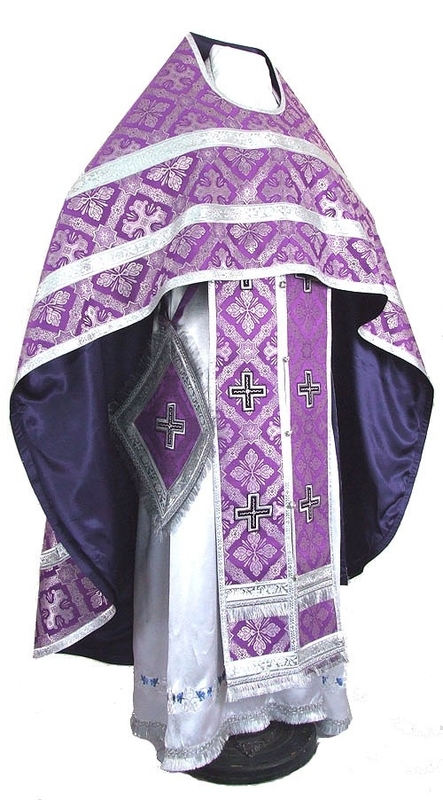 Each Russian Priest vestment violet-silver is custom tailored according to the specific measurements provided by customers. 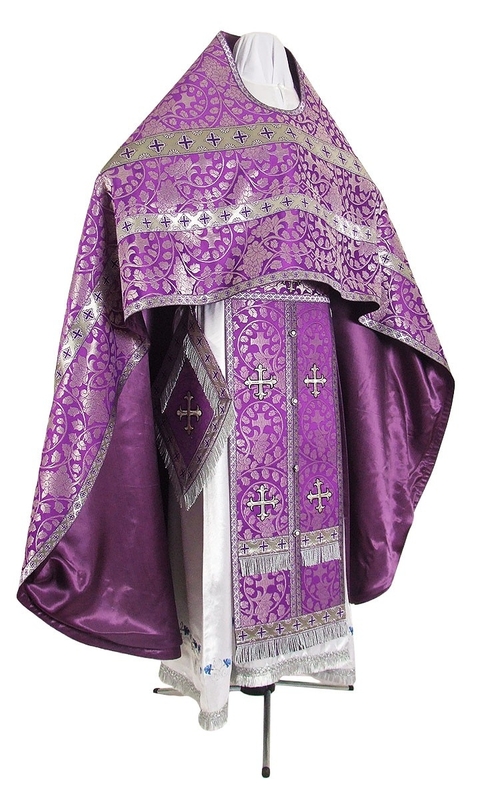 Numerous hours of collaboration go into creating Russian Priest vestment sets that are completely made to order. 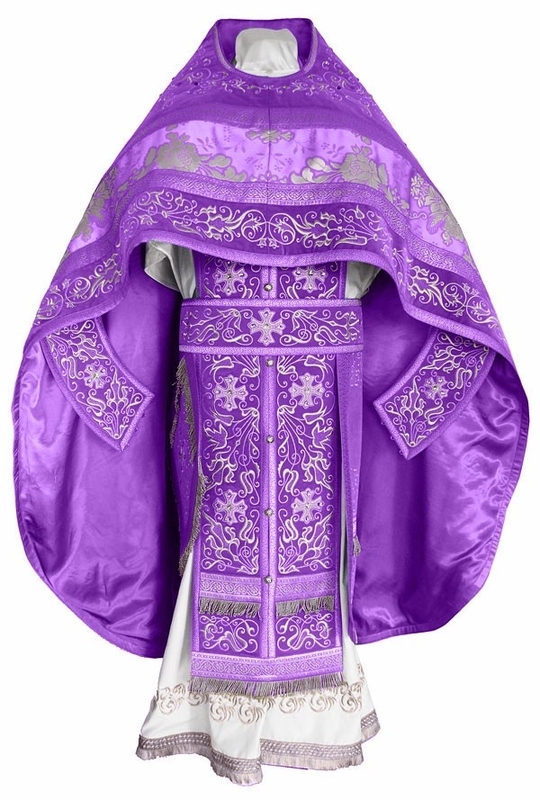 Our tailors in Europe are experts who understand the nuances of Orthodox Christian liturgical vestment traditions and complete their work with complete immersion and dedication. 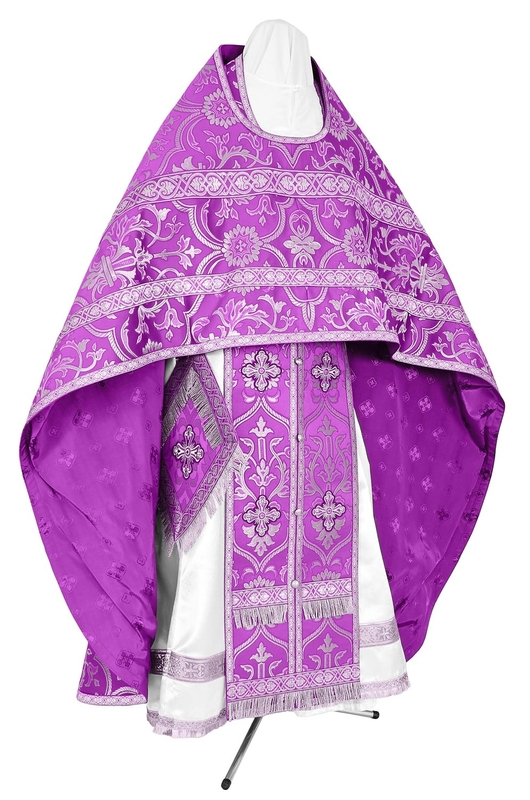 We aim to provide Russian Priest vestments that fit perfectly and provide ultimate comfort to wearers. Please note that it can take several weeks for order delivery. We request your patience, cooperation and early order placement for best outcomes.